The Heroes of Guitar Print is a typographic tribute to the world’s greatest guitarists featuring a collage of famous names surrounding a stylised Fender guitar. 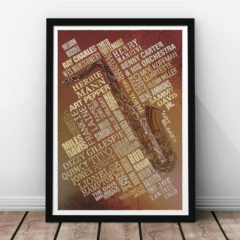 A unique typographic print featuring the names of such legends as Chuck Berry, Keith Richards, Jimi Hendrix and Buddy Guy as well as many more. 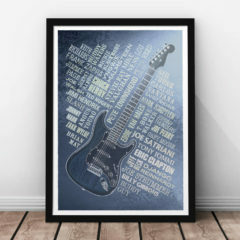 The Fender guitar is illustrated in a watercolour style and the guitarists names sit in the guitars shadow to the left hand side. 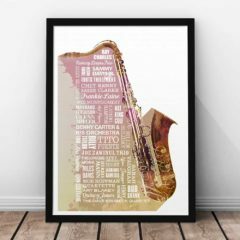 This print would make a great gift for a music lover and would be perfect for a study, office, games room, or bedroom. 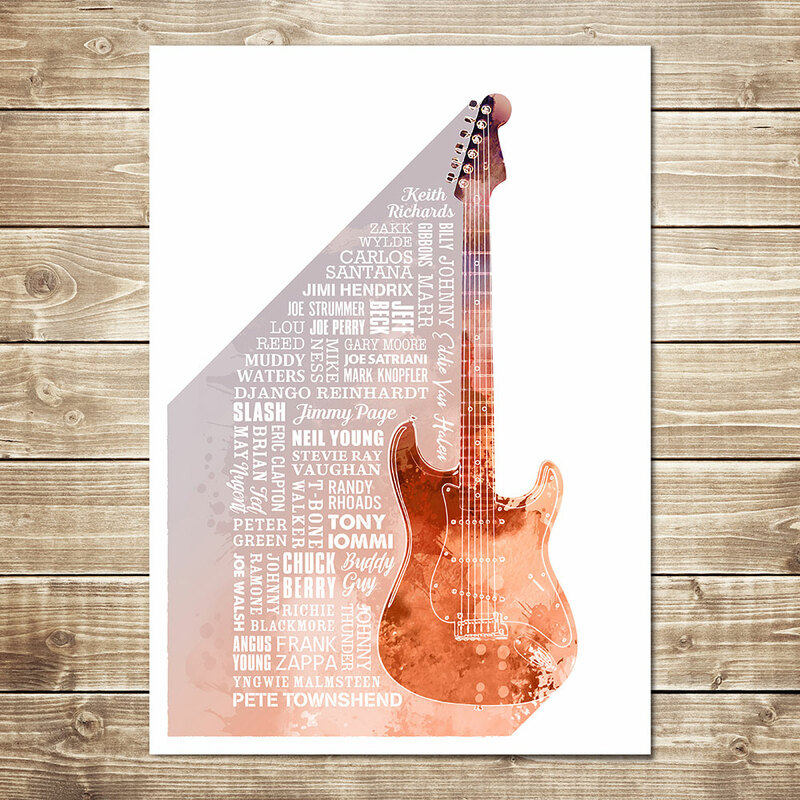 Treat your Dad to something extra-special this year. 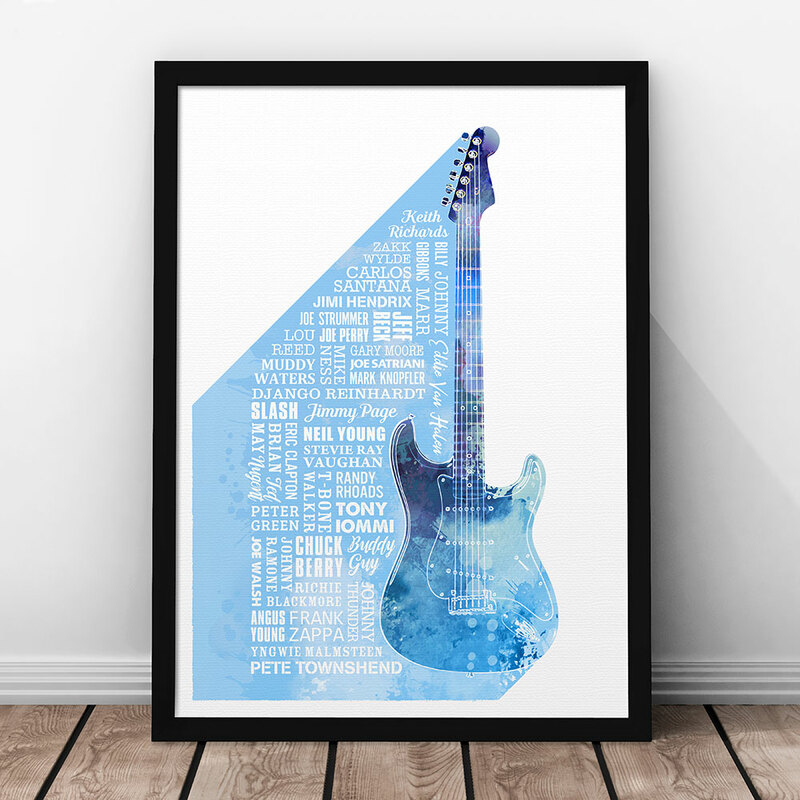 The print is available in two sizes and a choice of colours; Steel, Blue, Rust and Multicoloured. 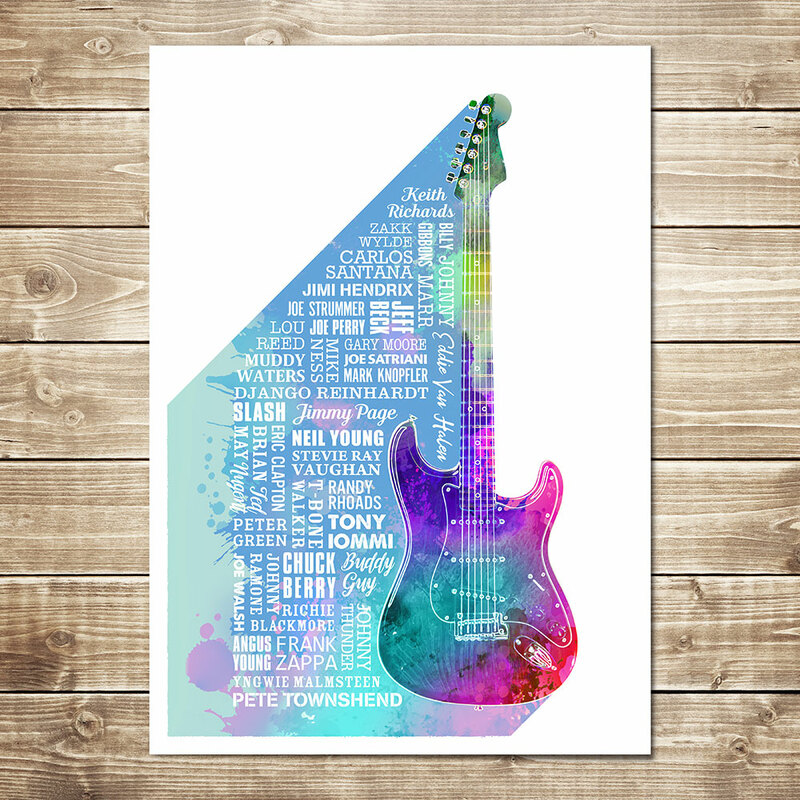 If you have a specific colour request, please feel free to contact us.